As many of you know I am just slightly in love with rainbows. 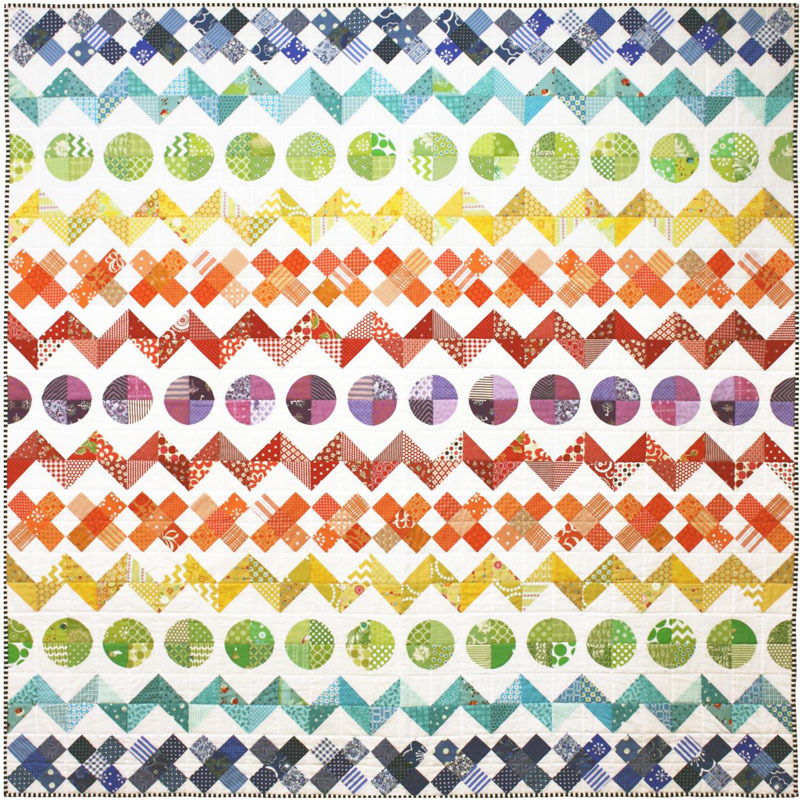 I have made a few rainbow quilts but this time I wanted to incoprorate the old row by row style of quilt. 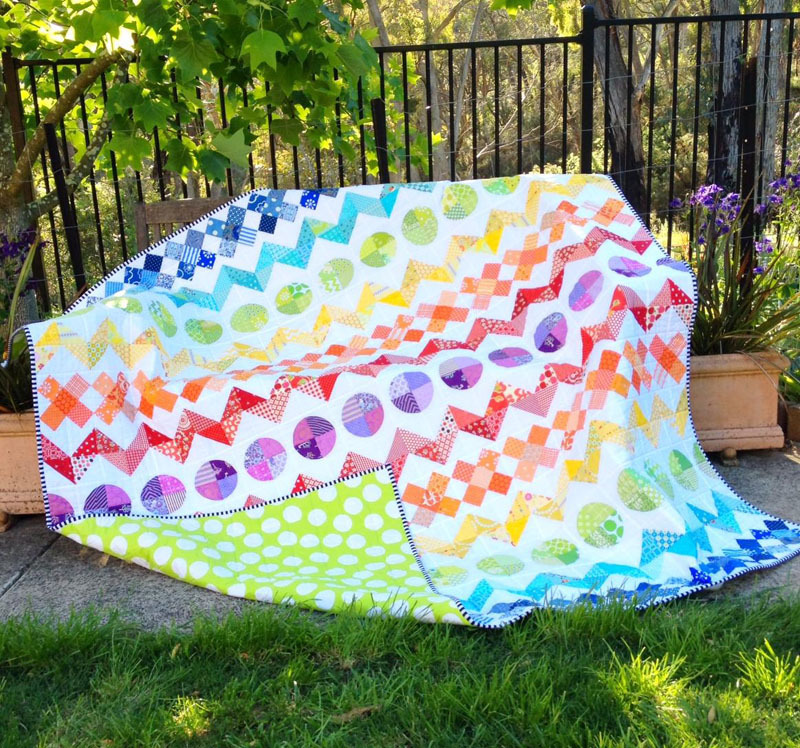 This quilt has 13 rows (lucky for some) of rainbow goodness. Great for using up scraps, or a good reason to buy some more fabric. Rainbow Row by Row Pattern available here!